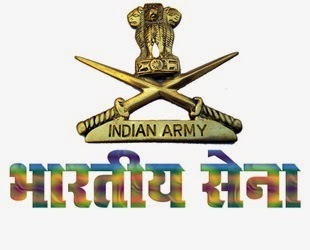 Indian army is among top 3 strongest army in the world. Indian army has invited hard copy application for recruitment of married/Unmarried male and female(Unmarried) candidates under 42nd NCC special entry scheme 2017. There is also notification from Wards of Battle Casualties of Army Personnel, for grant of SSC in Indian Army. Number of Vacancies are 54 and Last date to apply is 15th February 2017. Eligible candidates can apply before 15th February and can send hard copy application before or on 20th February 2017 for Ward of Battle Casualties at Dte General of Recruiting for Wards of Battle Casualties. Details regarding Education qualification, age Criteria, name of posts, selection procedure and How to apply is given below. To get eligible for the above given course scheme and post candidates must possess following given Qualification criteria. - Degree from a recognized university with at least of 50% marks. - 2years minimum academic in the senior Division/ Wing of NCC. - Candidates must have minimum of B and C Grade Certificate Exam of NCC. - For Ward of Battle Casualties of Army Personnel should have 'C' grade certificate minimum with Degree from a recognized University or equivalent with aggregate of minimum 50% marks. Eligible Candidates will be selected on the basis of Interview. To get eligible for these entry scheme courses candidates must meet following age limit and criteria given below. - Age of candidates must be between 19-25 years. - Candidates must be born on or between these dates 2nd July 1992 and 1st July 1998. - Read instructions carefully and don't forget to read official notification. - Cross check all details before submission. - Fill all information carefully , and before submission check it again. * After reading Instructions carefully go to 'Continue ' option. * Fill all details in online registration form and than go to 'Apply Online'. Candidates have to carry copy of the print out of application form duly signed, photograph affixed and self attested along with all documents to SSB. Candidates can send their documents as given in official notification on address given below. Last date - 20- February-2017. Last date of Online Application - 15th February 2017. Last date to receive application form of battle Casualties - 20 th February 2017. India Air force (IAF) one of the top 5 air force in world has invited online application for commissioned officer commencing in January 2018 for grant of Permanent Commission or Short Service Commission. Candidates can apply online for grant of permanent commission before last date 17th February 2017. This will be in ground duty in Non techincal branch. More details about education qualification, posts , fee , how to apply online etc given below. - Oceanography / Meteorology / Agricultural Meteorology / Ecology & Environment / Geo-physics / Environmental Biology/ Science stream / Mathematics / Statistics / Geography/ Computer Applications / Environmental Science / Applied Physics. - Minimum marks of 50% aggregate in all subjects together. Condition: Candidates must have studied Mathematics and Physics in graduation with already 55% in both subjects. To apply for the given post age of candidates must be between 20 to 26 years. - Candidates must be born between 2nd January 1992 to 1st January 1998. Both these date will be included . Including all TA, insurance etc. All Eligible Candidates whose applications are submitted before last date will be called for testing. Candidates will be called at one of the Air Force Selection Boards given below. In first stage of testing applicants will be called for Intelligence Test along with PP and DT on the first day. - Stage 1 is screening test for all applicants on the first day. - Candidates who qualify screening will be passed for next testing. - Qualified applicants documents will be checked on the first day. - Candidates those who will not qualify or will not meet eligibility criteria will be sent back on the first day . Stage 2 of testing will be of subsequently of 5 days which includes these processes. Training of the selected candidates is scheduled to commence in the first week of January 2018. Duration of training - 52 weeks. Branch - Air Force Academy. - Permanent Commission for men as officer will continue till the age of superannuation. - Short service commission for men and women as officer will continue till 10 years. Extension - In case of willingness , Availability of Vacancies etc of 4 years. - Go to official website of Indian air force. - Than click on 'Candidates Log-in' page . - Follow instructions and fill all details. - Candidates must have valid phone number and email -id. - Note down Registration ID for future use. - Candidates must read official notification carefully and instructions given before submitting form. - Check all details before submitting form. Last date to apply - 17th February 2017. 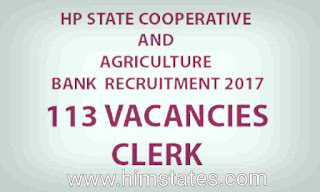 Himachal Pradesh State Co-operative Agriculture and Agriculture Bank (HPSCARB) is recruiting for the post of apprentice clerk. 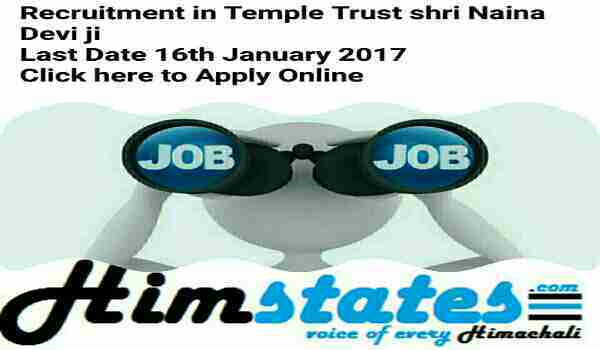 This invited application of clerk by Himachal state co-operative bank by online mode on official website of Himachal Pradesh board of school education.Last date to apply for the post is 9th February 2017. 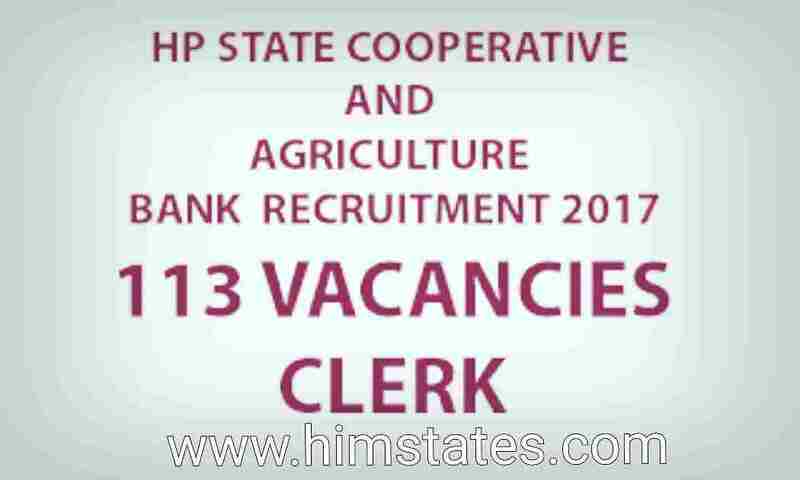 Total posts of clerk in state co-operative bank is 113. Exam of HP state co-operative bank will be conducted by Himachal Pradesh board of school education , Dharmshala. Fee details, education qualification , selection process and how to apply for clerk exam details is given below. Candidates those who want to apply for Apprentice Clerk posts eligible age is between 18-41 years.Eligible Candidates should be born between 09 january 1998 and 02 January 1981 ( both days inclusive). Relaxation will be for available for reserved candidates. To apply for the posts of apprentice clerk candidates should graduate from a recognized university to be eligible. Selection process includes two process one is written exam and other is interview. Interview - in ratio of 1:3. Personal interview will be taken on the basis of merit in written exam , shortlisted in the ratio of 1:3 will be undertaken by the bank at its own level through a selection committee. - Candidates have to apply for the post in official website of HPBoSe. - Form without fee and false information will be considered as rejected. - For general candidates 600 Rs. and other candidates 400 Rs. - Candidates must be Himachali bonafide. - Candidates don't require to send original /photocopy of. Certificates etc with application form. - Candidates have to download admit cards from board Website. - Board have all rights to allot exam centres according to Application form received and there will be no request accepted about change of exam centres. Himachal Pradesh State Electricity Board (HPSEB) Limited, Shimla issued a notification regarding the recruitment of Junior Helper on contract basis -2017. These vacancies of junior helper in HPSEB will be in Power House (Hydro Mechanical). Last date to apply for 100 posts of junior helper in Electricity board is 20th January whereas for remote areas eligible candidates last date is 4h February 2017. 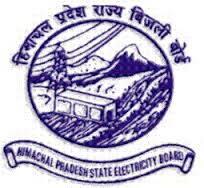 Candidates can apply in required format issued by state electricity board of Himachal Pradesh. Details regarding post of junior helper such as age limit, education required , fee etc is given below. Number of posts of junior helper is classified and reserved according to given categories. Age limit for Candidates to be eligible for junior helper in HPSEB should be between 18-30 years as on 01-01-2017. 5 years is applicable to Schedule Cast, Schedule Tribe and OBC, Candidates of Himachal Pradesh and for other refer notification. 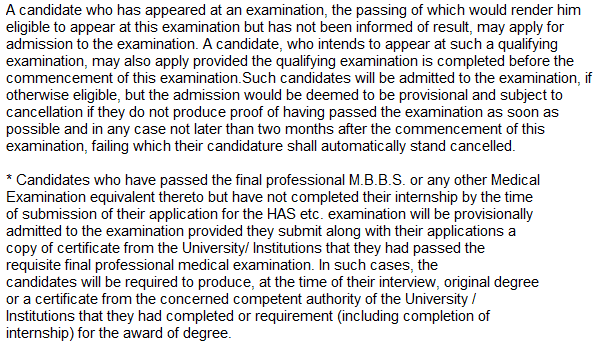 To get eligible for the given post Candidates should be Matric pass. On merit basis Candidates shall be called for personal interview. Marital will be on basis of Matric marks and technical qualification. Candidates applying for junior helper have to pay according to category given below. The given pay scale in official notification for HPSEBL Jr Helper Jobs: Fixed Contractual remuneration of Rs. 6200/- per month. - Fee to the one of the three offices as mentioned in the notification either personally or through email. Candidates can apply before these given dates ,last date is different for remote areas candidates. Last date (remote areas) - 04-02-2017. Remember candidates can apply on these dates before 5 pm in evening only. Official website of state electricity board of Himachal Pradesh. Himachal Pradesh public service commission(HPPSC) is recruiting for the post of Himachal Pradesh Administrative survives(HPAS), Himachal Pradesh police service(HPPS) , Block development officer, Tehsildar and treasury officer. HPPSC has invited application for Himachal Pradesh combined competitive examination. Last date to apply is 31st January 2017. Name of posts, fee, education qualification, how to apply for posts is given below. * Candidate should be Indian by nationality. * Candidate appearing for examination must be graduate its equivalent from a recognized University or institution. 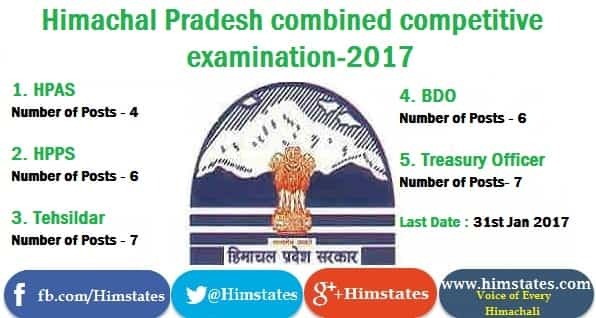 Candidates who want to appear for HImachal Pradesh combined competitive examination must have age between 21 - 35 years. Relaxation in upper age limit is by 5 years for candidates those who belong s to the SC/ST/OBC and PWD/Children/Grand Children of Freedom Fighters of Himachal Pradesh as declared by the Govt. from time to time. Relaxation in age is also to Ex-servicemen candidates of Himachal Pradesh as per Rules and Instructions of HP government. Syllabus for Himachal Pradesh Combined competitive exam syllabus , previous year question paper and Exam pattern is given below . Candidates appearing for examination can choose out of these optional examination centres given below. Shimla , Solan , Mandi, SunderNagar, Palampur, Kangra, Dharmshala, Nahan Una, Hamirpur, Chamba, Bilaspur and Kullu. Candidates need to apply through online mode by using the website http://www.hppsc.hp.gov.in/hppsc only. There is no other way for submission of applications is accepted. Read detailed instructions before filling up online applications. - Incomplete application form, without photograph, signature, photograph size etc will be rejected. - Fee once paid will not be refunded . - The List of provisionally admitted/ rejected candidates will be uploaded on HPPSC website and status of application will also be available against their user ID for the information of the candidates. Himachal Pradesh High Court ,Shimla has invited application for the post of Clerk. These vacancies of Clerk are on contract as well as regular basis. Number of posts of clerical in High court Shimla HP is 44.Candidate those are eligible can apply online on or before 04-01-2017. Information regarding age limit, qualification, selection process, application fee & how to apply are explained below. 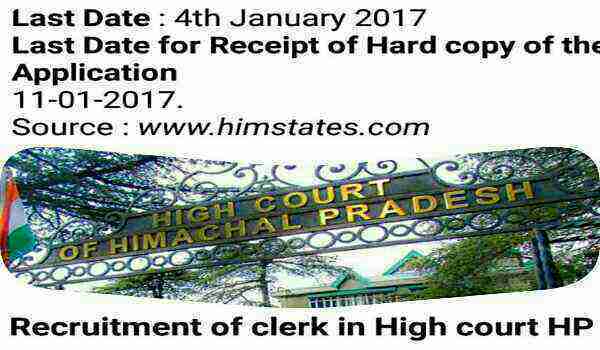 Eligible Candidates appearing for clerk in Himachal Pradesh High Court should have age between 18-45 years as on 01-01-2017. Age relaxation to Schedule Cast, Schedule Tribe, Other backward classes and Ex-serviceman is applicable according state government rules. - Having basic knowledge in computers. - In Typing test with speed of 30 W.P.M in English on computers. * Screening/ Written Test(s)/ Interview or Viva-Voce Test. - SC/ST/OBC : ₹ 150. Payment will be received through E-Payment using Debit or Credit card(s) or net banking etc. How to Apply for clerk? To apply for HP high court junior office assistant post candidates need to apply online through official website of Himachal Pradesh high court. 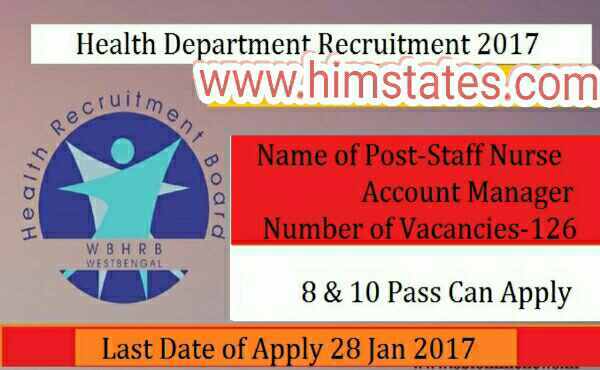 * Apply before last date 04-01-2017 and after submission of online application form do following steps. - E Receipt/ E-Challan in an envelope super scripted as “Name of the Post” by regd./ speed post to the Registrar on this address. Last date to receive envelope 10-01-2017. Log on official website of Himachal Pradesh. Go on Recruitment/ Results in official website. Go on SBI Collect at URL link and Read all instructions carefully. Go to Proceed and Fill all details. Before form submission check the form. Final step is to take a print out of online application for future use. Before Applying online candidates have valid e-mail id and phone number. 04-01-2017 up to 11.45 PM. Himachal Pradesh high Court ,Shimla has invited application for the post of Junior Office Assistant. These vacancies of junior office assistant are on contract basis. Candidate those are eligible can apply online on or before 04-01-2017. Information regarding age limit, qualification, selection process, application fee & how to apply are explained below. 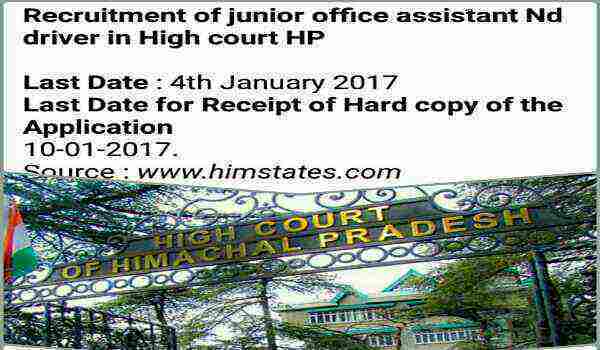 Eligible Candidates appearing for Junior office assistant in Himachal Pradesh High Court should have age between 18-45 years as on 01-01-2017. * Matriculation from recognized institution. * Polytechnic Diploma in Computers or IT or Electronics or 10+2 or equivalent qualification. How to Apply for junior office assistant? Apply before last date 04-01-2017 and after submission of online application form do following steps. Last date to receive Hard copy application: 10-01-2017. HPSSSB(Himachal Pradesh Subordinate Services Selection Board) has released notification for recruitment of Civil junior Engineer, Pharmacist, Sub- Inspector of Police, female health worker etc.Last date to apply for this notification is 07-04-16. 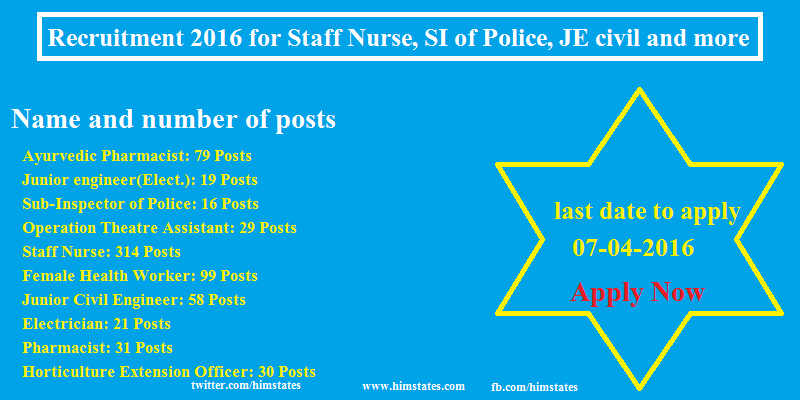 There are 696 total no of posts that will be recruited on basis of reuired qualification of candidates. Age of candidates to apply should be between 18 to 45 years as on 1st january 2016.Relaxation in Age limit is applicable according to rules. Ayurvedic Pharmacist- Plus two or its equivalent with training of atleast two years duration in Ayurvedic Pharmacist. Operation Theatre Assistant-10+2 with Science (Physics, Chemistry and Biology) with 50% & OTA Training course. JE (Elect.) & JE civil-10th or 10+2 with Diploma of atleast three years duration or B.E/ B.Tech Degree in respective stream. check notification for more information. 5. Take printout of application.